Xen Orchestra last release of the year and this is a pretty big one. THE big new feature is file level restore for any existing (and future) delta backups. This new features is a big step forward: you can now restore individual files against restoring the whole VM. And it works on all your existing backups (even those done before this release). finally, browse the files and download those you need! Indeed, there is room for improvement, next releases will add multiple folder/files download, send files to a remote machine directly (SMB/SSH…), temporary exposing content of a disk for users without XOA account (temporary generated link) and so on. If you have ideas and feedback, you are welcome! it's not yet compatible with SMB remote. This will be fixed in the next release! During a delta backup job, you can avoid saving all disks of the VM. To do that, it's trivial: just edit the VM disk name and add [NOBAK] before the current name, eg: data-disk will become [NOBAK] data-disk (with a space or not after, doesn't matter). This will give you a better flexibility. It's now easier to ACLs on type of objects. You can reduce the content of a select by only displaying VMs, or hosts, or pools etc. 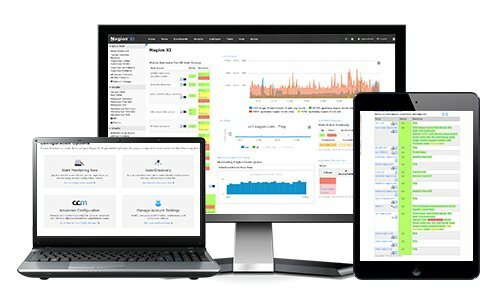 Leveraging Nagios passive checks, you can now integrate XOA Backup in your Nagios infrastructure! For more details and configuration, read our previous article. So what's next for Xen Orchestra in 2017? A LOT of exciting new stuff (take a look at XenServer hyperconverged storage). Stay in touch! Plan and receive your reports by email, on your whole XenServer infrastructure.